Finite Element Analysis (FEA) enables an entire structure to be modelled, restrained and loaded as close as possible to how it would be in the real world. FEA is able to simulate the distribution of the load, deflection and stress throughout a structure and is capable of considering the complicated effects of all of the influencing variables, e.g. material, geometry, restraints and contacts (linear and no-linear). FEA gives a high resolution capture of the stress, deflection and force/moment reactions within a system, which if done via hand calculation, would be labour intensive, long, over simplified and in some instances impossible to do. FEA enables complex structural behaviour to be quantified with high geometric resolution and accuracy, so that fatigue and creep can be fully reported and where necessary optimised accordingly. Furthermore, it is possible to model dynamic loading conditions such as mating gear trains, screw threads and wheel-interface modelling and various other complex contact situations. Mechanika has the capability of modelling situations which fall outside of the normal linear elastic world, with the use of non-linear material modelling and non-linear contacts, we offer a complete range of analysis including non-linear materials such as rubber and composites, complex contact issues with and without friction and large displacement modelling (which is not possible with a purely linear elastic solver). We are experts in providing structural analysis using modern FEA for various design/structural codes (Eurocode, ISO, BS, ASCE, MIL, FEM, ASME). We do not just create a model and tell our customers the results, we fully document and report the FEA using structural calculation report formatting to design codes. 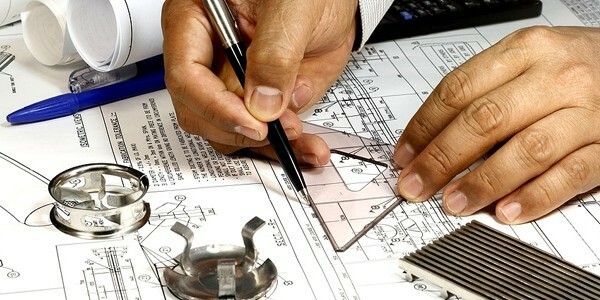 Using FEA to carry out code compliance checks to a national standard is a tricky affair that requires highly skilled and experienced engineers, who understand the behaviour of the solver and reported results, to enable appropriate stresses to be selected, reported and compared against the permissible stress from the design code. Without this expertise, the unknowing user would report singular stresses (singularities) and very localised hotspots above the stated maximum permissible stresses. These stresses require very careful consideration and awareness of how the solver works, to determine what is a real stress or a singularity stress. FEA is the core of our annual work throughput and we have worked on a vast number of projects, ranging from small products and individual components, right the way up to complex heavy load bearing structures in excess of 400 tonnes and aircraft structures, using both linear and non-linear modelling techniques.